The 3-pronged peninsula of Halkidiki lies in the north of the Greek mainland, a short drive from Greece’s second biggest city Thessaloniki. It’s an excellent place to catch the rays, with many beautiful beaches awarded EU excellent blue flag status. 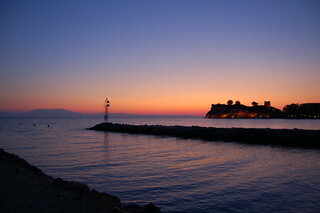 A fly drive holiday, picking up a hire car at Thessaloniki airport, is a good way to see Halkidiki. 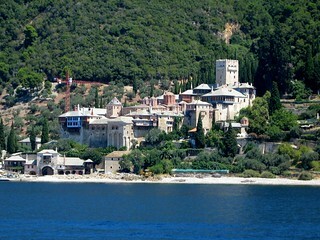 In reality the choice is only between 2 legs, as the Eastern leg of the peninsula, Agion Oros (Holy Mountain, Athos) is not open to outsiders. This an Autonomous Monastic State and although road-accessible, only a few boat-arriving daily visitors with a special entrance permit can get there – of those, only the males are allowed entrance. Of the two remaining legs, the western one, Kassandra (where the mythical giant Egelados was killed by goddess Athena), is the wildest, it’s more rugged and only served by minor roads – some Greeks say it’s the more beautiful. The middle leg, Sithonia, is served by a better road looping around it, making a round trip possible. 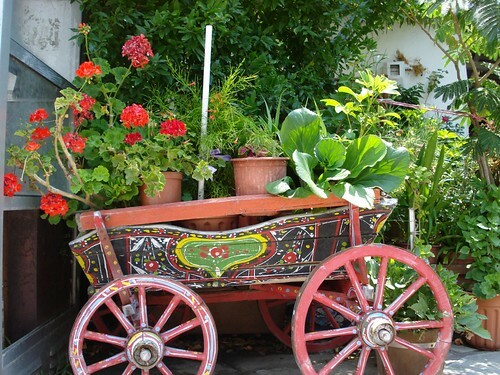 Halkidiki is best known for family holidays, most possibly due to its traditional role as the playground of Thessalonikians wanting to escape the heat and bustle of the city. It’s the place to go if you like the sun, good food and mainly daytime activities. As such, it predominantly attracts families and couples, but not the partying crowd. Having said this, there’s something for almost everyone, with beach sports, horse riding, scuba diving, sun worshipping and dining to suit most tastes and budgets. 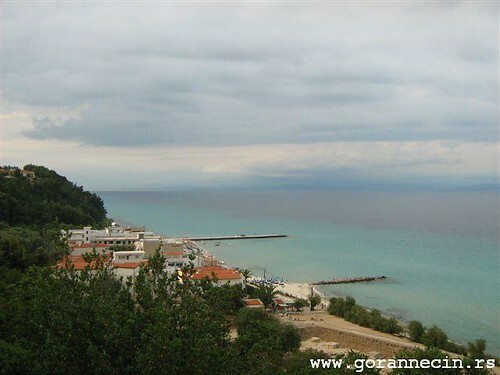 Perhaps the best known resort in Halkidiki is at Cape Sani, a short drive into Kassandra, the western leg, facing towards the mainland. Other places worth visiting on Kassandra are Palini for its antiquities and beautiful nearby Pefkohori beach, Agios Nikolaos at the leg’s end for craggy hikes and views and Skala Fourkas for fresh fish “off the boat and into the taverna”. In the more accessible Sithonia, the central leg, visit Vourvourou with great views of the “wild” and tragic island Nisida Diasporos (isle of separation), Sarti for getting away from it all, Neo Marmara for swimming, sand and castles (with another Parthenon nearby – but don’t get your archaeological sail up!) and finally pretty Niki.